Region 9 provides broad-based and comprehensive educational services to support children, families, member school districts, and communities. Direct services include early identification and intervention services for children, support for preschool and school age students with special needs, support for students to transition into the post-secondary setting, and technical assistance for member districts in the areas of regulatory compliance, service delivery, program implementation, and professional growth. Region 9 provides training and support for principal and teacher mentorship, curriculum alignment, lesson planning, Common Core State Standards, NM teacher evaluation, crisis prevention, instructional coaching, Student Assistance Team, Section 504, Positive Behavior Interventions and Supports, among other educational regulation requirements for general and special education. Child Find screenings are conducted to help districts identify students who might be in need of early intervention services. Comprehensive screenings provide valuable information to schools and families regarding the developmental needs of children. 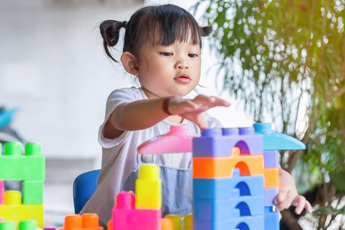 Free developmental screenings are provided in collaboration with communities and member school districts through Region 9 to help locate, identify, and evaluate children with developmental delays or disabilities ages three through 21. Collaboration between community resources, early childhood program providers, and school districts increases the efficiency of services to children and families and maximizes their educational support. Region 9 supports the provision of related services for special education programs for member districts. Related service personnel provide supports that are required to assist a child with a disability to benefit from special education instruction. Related services include speech/language pathology, audiology services, physical and occupational therapy, psychological services, school social work, early identification and assessment of disabilities in children, vocational rehabilitation counseling, orientation and mobility services, and nursing services. The outcome of the post-secondary transition service is to provide young adults with the necessary skills to become successful adult citizens. Transition services are incorporated into special education programming and focus on supporting students to achieve their vision for the future. Region 9 staff members provide training in the development of transition services within school districts and also serve as liaisons with outside agencies to facilitate successful transitions. Special education services are determined based on federal and state regulations. Region 9 provides targeted professional development and technical assistance to support staff in conducting full and comprehensive individual evaluations. If a student is determined to be eligible for special education, an Individualized Education Program (IEP) is developed. Region 9 staff members provide technical assistance in the development, implementation, and interpretation of the IEP process for families and staff.